My first trampoline sighting was on a cold February morning. It left quite an impression on me. Ever since that time, I’ve been looking for hidden trampolines. That first trampoline, I had just gotten my residency permit. It was early, maybe 8:30 am on a cold February morning, and my friend and I were walking to grab a cup of coffee to warm up and celebrate. The trampoline sighting was icing on the cake. The trampolines of Berlin are quite hidden. I now realize I’ve passed by many (and probably still do) without realizing they are there because they are often flush with the surrounding sidewalk. These are not the freestanding trampolines one sees in large open backyards, where one can jump high or flop down and look up at the sky. Rather, these are at ground level, small squares or circles, often in a set of two or four. You can sometimes see small children bouncing on them or jumping from one to the next. 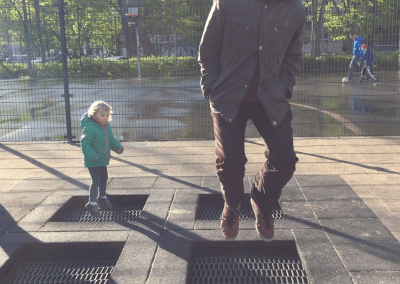 The ground beneath these squares or circles is dug out less than a meter deep, but enough to allow an adult to bounce without hitting bottom, and enough for a small child to jump. Occasionally, you see adults bouncing. Bouncing is quite good for cleansing the lymphatic system. 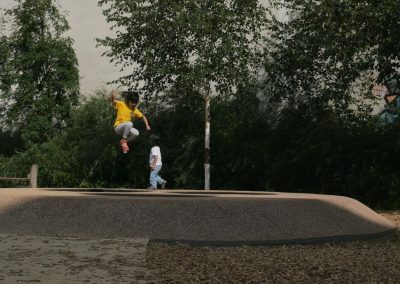 Finding the trampolines has been challenging, partly because they blend into the pavement or surroundings, but also because many of them are located in small corner parks on large apartment blocks. Some of these park spaces were built into the complex as part of Berlin’s laws to assure for adequate sunlight for all apartment dwellers. Other playgrounds were the result of the bombings during the Second World War and lack of money for reconstruction. And then there are some in unexpected places. 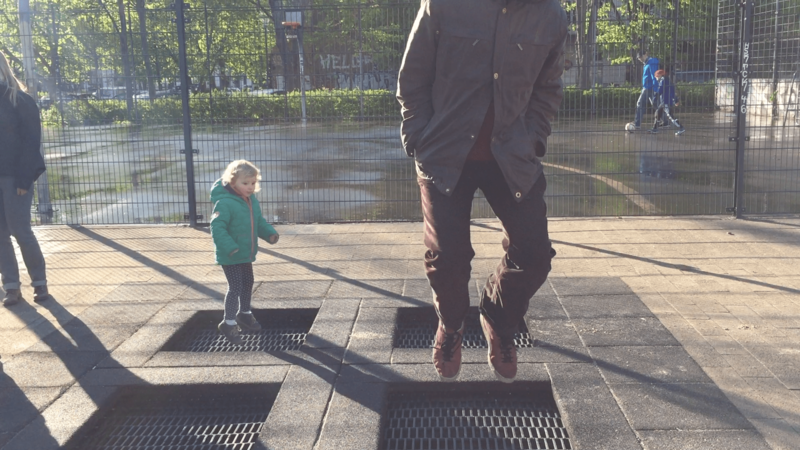 I was told about one set of trampolines at the base of the television tower at Alexanderplatz. When I first started searching for trampolines I scrubbed the web looking for a database of trampolines. 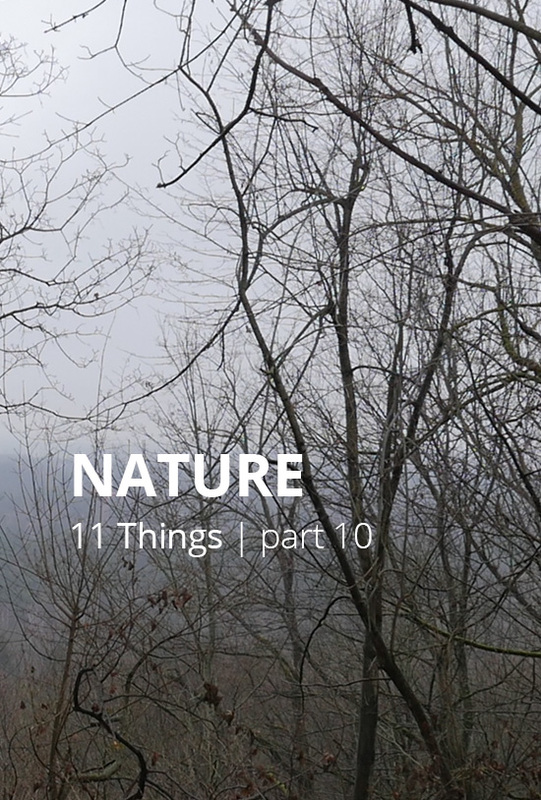 I checked the government website, blogs, parks information but couldn’t find any list. So, I set out searching by bike. On my first dedicated outing, I managed to find a beautiful set of trampolines that rose above the playground slightly set into a mound of recycled material. This gave more space beneath the stretched-out rubber allowing my friend Julia to jump across the mini-trampoline mountain. 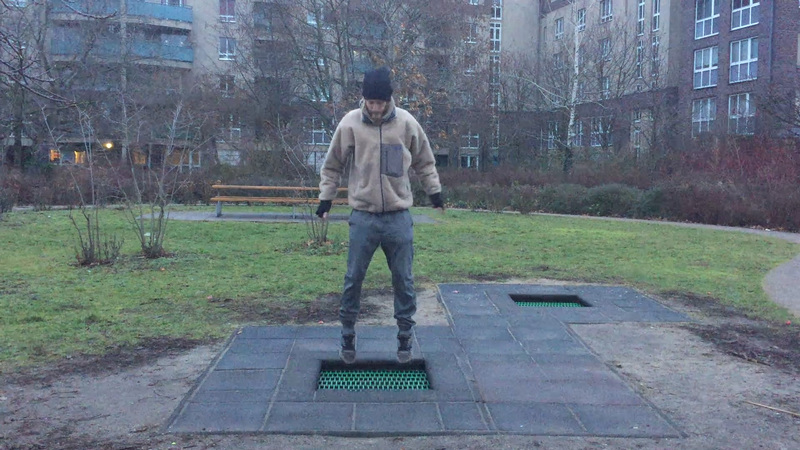 I originally thought I’d find trampolines in the large Volkspark Friedrichshain. We found beach volleyball courts, a climbing wall, mini-skate park, the half silver dome that I’ve now come to recognize across Berlin parks, BBQ areas, a running track and lots of grass, a mother and child statue but no trampolines. I came to realize later that we had only covered a fraction of the park. But even though I’ve done multiple trips since that time, I still haven’t managed to find any trampolines there. Disappointed but still hopeful we decided to bike to the nearest big park. It was along the way on a random route we chose to avoid the main street that we saw this small park on a corner plot where large buildings towered beside it. Low and behold, there were two young girls bouncing on the rubber mountain. We had to wait our turn but we did get to jump and film. 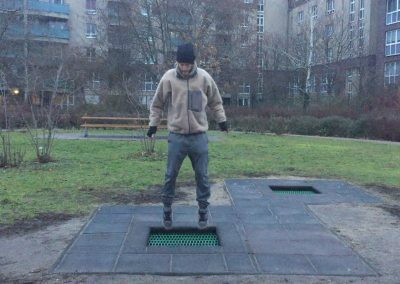 I feel like to find the trampolines in Berlin I would have to treat it like a surveyor and make my way to each playground. Not a small task. 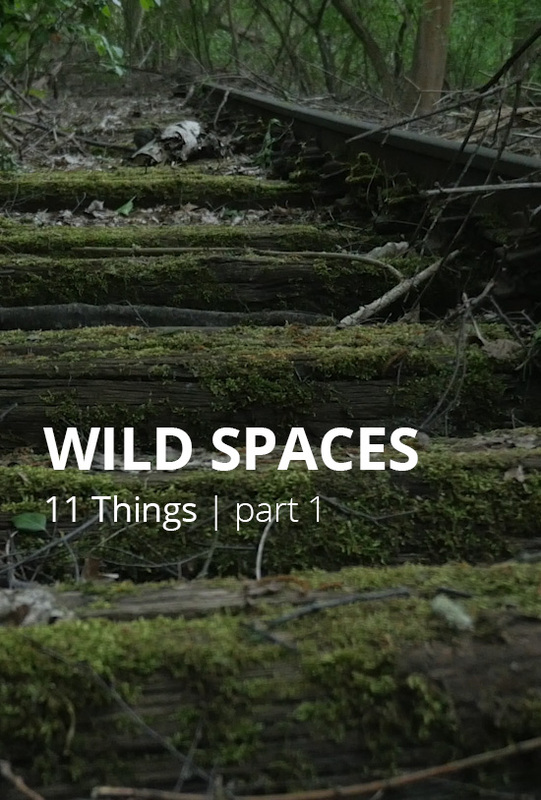 So I tabled that idea while working on the main part of Park Project Berlin, collecting video and conversations each week over the year. I have to believe there are more trampolines hidden around Berlin. 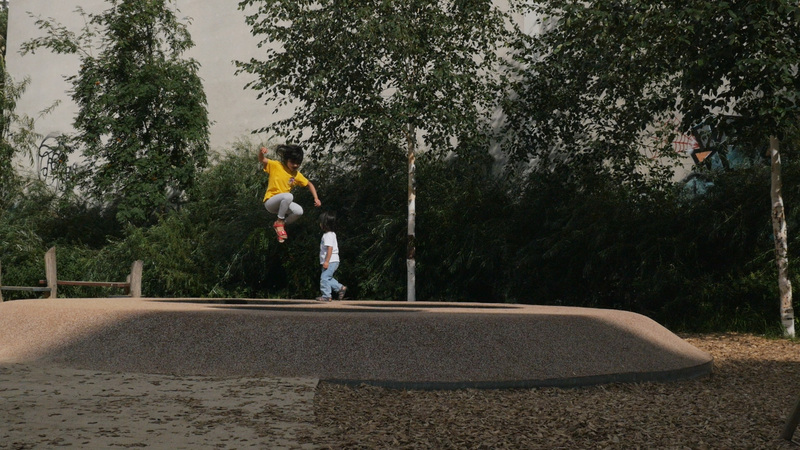 The job of discovering the trampolines of Berlin is not a one-person job. So I’m now inviting you to submit your trampoline findings. If you know of a trampoline in your neighborhood, I’d love to add it to the map. Enter the location below and be part of creating the first Berlin Trampoline Database!